After watching the film IP Man and seeing his graceful moves, i quickly became inspired by this martial art as i did my research. I began learning and training around the year of 2013. I was appealed to Wing Chun mainly due to it’s fighting principles that can be applied to daily life and also as an expression of who i am. * Structure and balance — By having a solid stance, you are able to draw more attack power. In life, balance is key to a healthy well-being. By obsessing in one aspect of your life while neglecting the rest, you suffer in those areas. * Softness and relaxation — In Wing Chun, we strike with a soft and relaxed body. The power comes when we release our chi. Wing Chun philosophy is that tense and stiff muscles make attacks less powerful. Soft hands that absorb energy rather than fight against it are able to redirect it and use it to our advantage. I am a kind-hearted person which is why softness suits me but i strive to not be taken advantage of. * Simultaneous attack and defense — Unlike other martial arts emphasizing powerful attacks, Wing Chun is unique in the sense that it balances both offense and defenses. You do not compromise your defenses and balance for a more powerful attack as the aim is to eliminate the threat while protecting your own health. This teaches you to care for your own well being as it is the aim of self defense. * Simplicity — As a scientist and a teacher, simplicity is key to making students understand you. 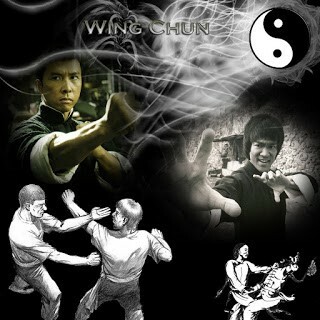 The same works for Wing Chun. Many martial arts emphasize complex and curved angles in their attacks while Wing Chun prefers directness in a straight line. Making your moves simple enables you to strike faster in combat than going through a complicated series of attacks. * Economy of motion — Wing Chun philosophy stresses importance in only using the proper use of energy necessary to end a fight. The less energy you spend, the more efficient you will be and alert for the next opponent. It is more efficient and effective to deliver a powerful kick that throws your opponent off balance in response to a hook than to block then attack. In life, it is important to know how much you ought to invest your energy in a task. * Minimum use of brute strength — Wing Chun involves absorbing brute force and redirecting it from your opponent rather than fighting against it. Brute force alone will not ensure you will win fight especially when your opponent is skilled in using your own energy against you. In life, it is essential to turn negative energy into positive energy for the sake of our health. My ultimate goal is mastering self control and achieving a better life through Wing Chun. For these reasons, i find Wing Chun a beneficial martial art that suits my personality and well being that other martial arts do not do as well. If you are interested in learning more about Wing Chun through training videos then Click Here!